Buy Meridian Organic Fairtrade Pure Blackstrap Molasses 350g in the UK from our online shop or directly from our independent Scottish store. Organic Blackstrap Molasses is extracted during the process of cane sugar production, in which all the beneficial nutrients are concentrated into the molasses. Where can you buy real Blackstrap Molasses 350g safely online? If you are wondering where you can buy Meridian Organic Fairtrade Pure Blackstrap Molasses 350g safely online in the UK, then shop with us. 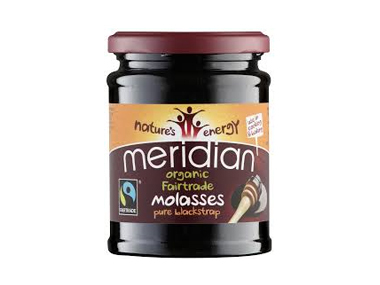 Blackstrap Molasses 350g - Meridian Organic Fairtrade Pure Blackstrap Molasses 350g in Sugar & Sweeteners and Foods.